There are so many ways to tell this story. 1) What do you do when life gives you a bowl of lemons and a perfect pie crust? Why make lemon pie, of course. 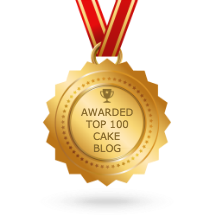 About a week ago, a major women's magazine descended on my house to photograph some baked goods from my blog. The story will appear in March. Meantime, they brought some additional items prepared not by me, but by a professional food stylist in case of emergency. There were a few of those, but when all the magazine folks departed, I was left with a number of goodies, including a pie crust and a bowl of lemons. So I made a pie. 2) What do you do when you're invited to a fabulous penthouse apartment party in Manhattan and you're asked to bring dessert? Most people would bring a tried and true pastry, but not me. 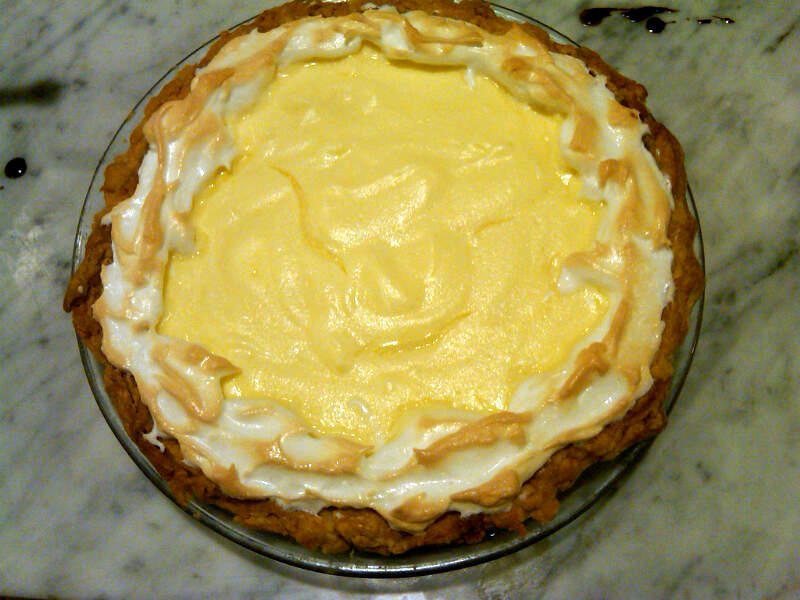 I decided to make said lemon pie and bring it. 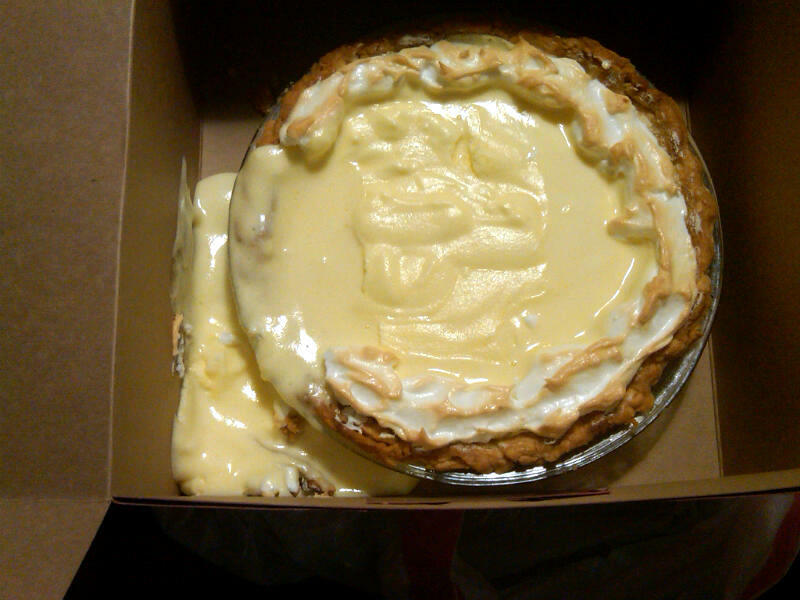 Only, on the car ride from Brooklyn to upper Manhattan, my pie transformed from the gorgeous dessert that left my kitchen into quite a mess. Pie soup, if you will. 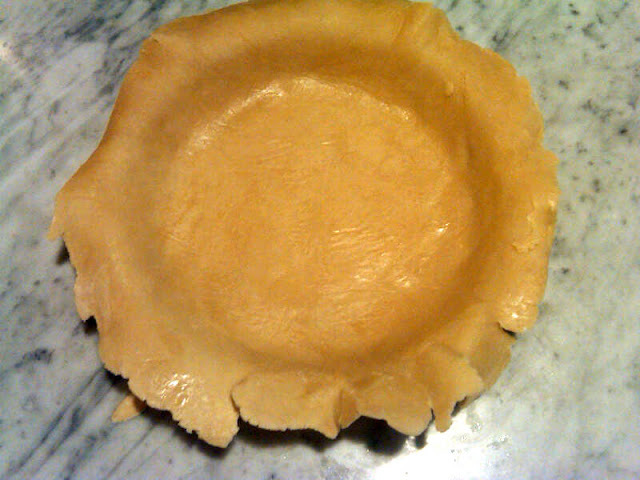 Having said that, I would like to note that despite it's rather very runny consistency, the pie was devoured by the guests, for its flavor was terrific. 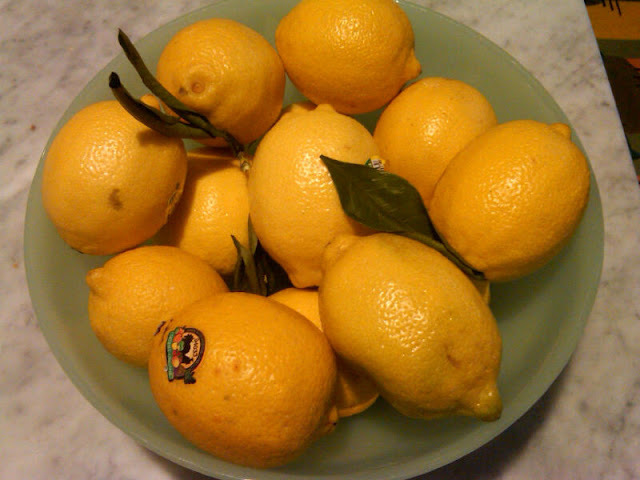 I'm posting the recipe (which I changed only by adding some lemon zest), and will get to work in the kitchen perfecting it. 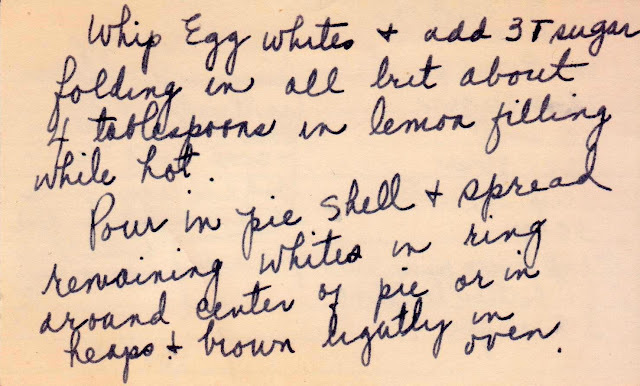 Lemon chiffon pie has legs, and I vow to make them stronger. Lemon chiffon pie is basically lemon curd with Italian meringue (heavy cream whipped with some sugar) folded in. I forgot the add the butter (which is the entire reason I chose this recipe over several others, but whatever). My fatal error, I *think* is that I didn't cook the lemon curd mixture long enough. What an interesting recipe! I make lemon curd quite a bit with left over yolks from making white cakes. I've never seen hot water used in lemon curd before. It will be interesting to see how further results turn out! 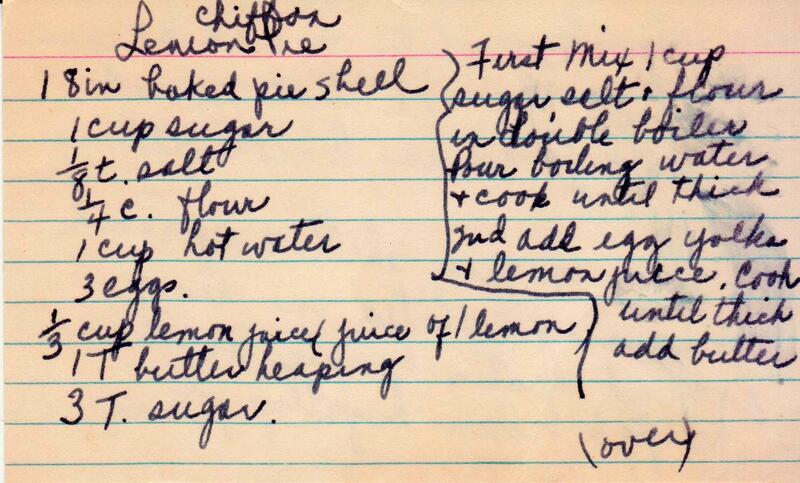 Tug's Girl -- Now that you mention it, I've never seen hot water in lemon curd either!